MINNEAPOLIS – Not only was the Philadelphia Eagles’ knockout of New England a thrill-a-minute slugfest, it produced some of the biggest calls the Super Bowl has ever seen. There was coach Bill Belichick’s head-scratching decision not to play Super Bowl 49 star Malcolm Butler on defense against a team that would rack up 41 points and Danny Amendola’s incompletion to Tom “Butterfingers “ Brady on a gadget play that backfired. It’s not as if the Eagles were perfect. They missed an extra point and also the 2-point conversion on their next touchdown, and coach Doug Pederson’s decision to chase points early on loomed large when Tom Brady put the Patriots ahead 33-32 with his second touchdown strike to Rob Gronkowski with less than 10 minutes remaining. Ertz, whose Super Bowl triumph matched his wife, Julie, who won a world championship in soccer in 2015, lost control as he landed but grabbed the ball. 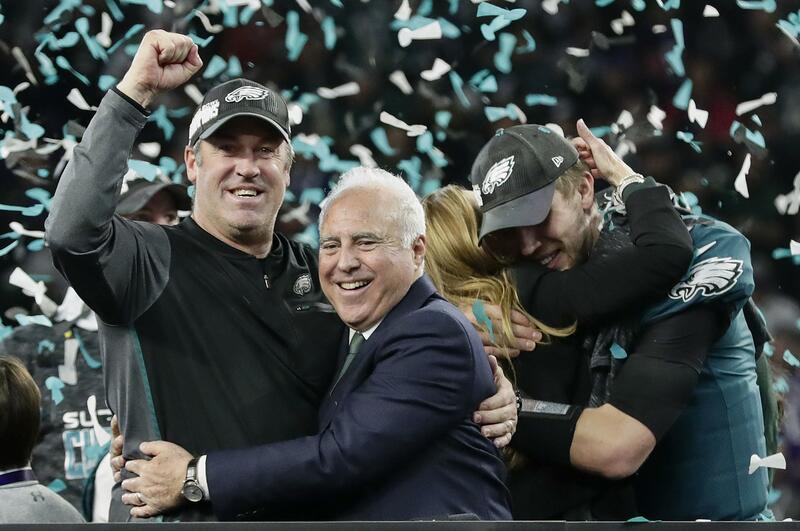 The Eagles and their fans cautiously celebrated while awaiting Al Riveron’s crew in New York, which upheld the score, much to the Patriots’ chagrin. “We just couldn’t get off the field on third down or make a play to get the ball back to our offense,” cornerback Stephon Gilmore said. “It doesn’t matter,” declared Patriots defensive back Devin McCourty. Belichick said he played Eric Rowe in place of Butler for strategic, not disciplinary reasons, but he declined to elaborate on his move that surprised his team just before kickoff. “Yeah, we could have used anybody,” he said. Then, there’s the meeting with Brady, coach Bill Belichick and owner Robert Kraft to smooth things over after a reported falling-out following the trade of backup quarterback Jimmy Garoppolo to the San Francisco 49ers. Oh, and Gronk hinted that he’d give retirement some thought, too. Published: Feb. 5, 2018, 8:26 p.m. Updated: Feb. 5, 2018, 9:36 p.m.